Roger Perron, Los Feliz Design Build Contractor, Completes Two Projects in Area » Roger Perron Inc.
Roger Perron, a 30-year veteran designer and Los Angeles general contractor and also an owner of a design build firm located near the hillside neighborhood of Los Feliz, has completed two projects in his local area. A design build firm is one that contains both the design team (the architects and interior designers) and the construction team (the general contractor, electricians, plumbers, carpenters, etc.) all working together as one team. 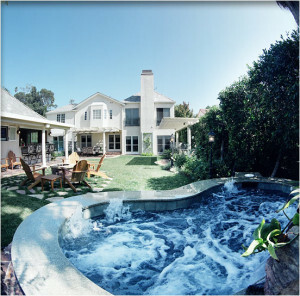 The first local project completed by Perron was the full remodeling of a Los Feliz home including a kitchen remodel, backyard spa, rear guest house, backyard patio and outdoor kitchen. 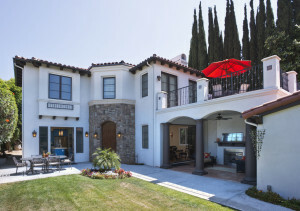 Perron also built a brand new two-story home for Los Feliz resident Doug S. The architectural design is a unique blend of Mediterranean style arched doors and a clay tile roof, combined with a modern kitchen design, multi-level ceilings, and indoor and outdoor fireplaces. For additional information on the design build method or to schedule a free home design consultation with Roger Perron or his architect visit http://www.RogerPerron.com or call (323) 664-7001.